Another outstanding multi-purpose sink to be offered by Australian manufacturer Everhard, the Como 36 litre sink is the perfect addition to your home. Suitable to be used in the laundry, kitchen or wet bar areas, this insert sink exhibits a high-quality design. It is available with either one or two tap landing holes to suit all types of kitchen mixers. Featuring a massive 36 litre bowl capacity, this sink can easily take the biggest of laundry tasks. 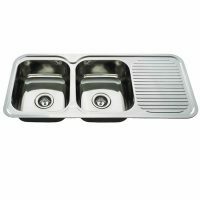 It measures 540x540x290mm in dimensions and is manufactured using high grade 304 stainless steel. A 50mm stainless steel waste is also included. 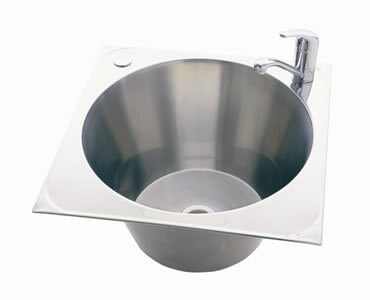 Everhard’s Como sinks are well appreciated in the market for outstanding workmanship. 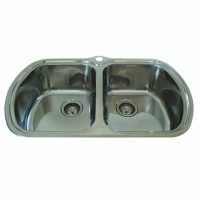 Should you choose to buy this sink, you can have peace of mind knowing that Everhard offers a 25 year guarantee on the stainless steel bowl and a 1 year guarantee on the plugs and waste. This heavy-duty sink is designed to last many years of substantial usage. So what are you waiting for? 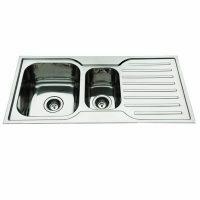 Make this Everhard sink a part of your home today! Buy the Como 36 litre sink from Ross’s Discount Home Centre at an unbelievable bargain!